Daniel begun his career as a Strategist at the age of 18 at his family's business in carpentry - TGM Carpentry. He worked hand-in-hand with his father and employees as a carpenter and with his mother at the office, designing and leading the branding, marketing and business plans. Daniel's performance allowed the business to exceed short-term objectives whilst planting strong seeds for the medium and long term. This 6-year invaluable experience enabled Daniel to have a first-hand business experience where he realised his strategic skills, accomplished ROI, and enabled the organisation to receive Craft Awards and to keep a healthy and well-known branding and clientele up to today. At the carpentry, Daniel would not only came up with a constant flow of ideas, he was also able to implement them fully hands-on, and in many instances at a less than peanuts price. I'm a very proud father and Daniel an entrepreneurial individual with a lot to offer. 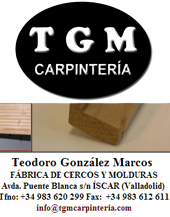 Teodoro Gonzalez, owner of TGM Carpentry. By then village and business were getting small to Daniel's aspirations. - 35% increase in clientele. - 50% increase in turnover. - 60% minimisation of timber waste. - 40% maximisation in production process. - 5* delivery & customer support. - Improvements on staff recruiting and training processes (up to 8 employees). Full job description.